Pant • Alone is sold as individual pant legs with many different styles to choose from. 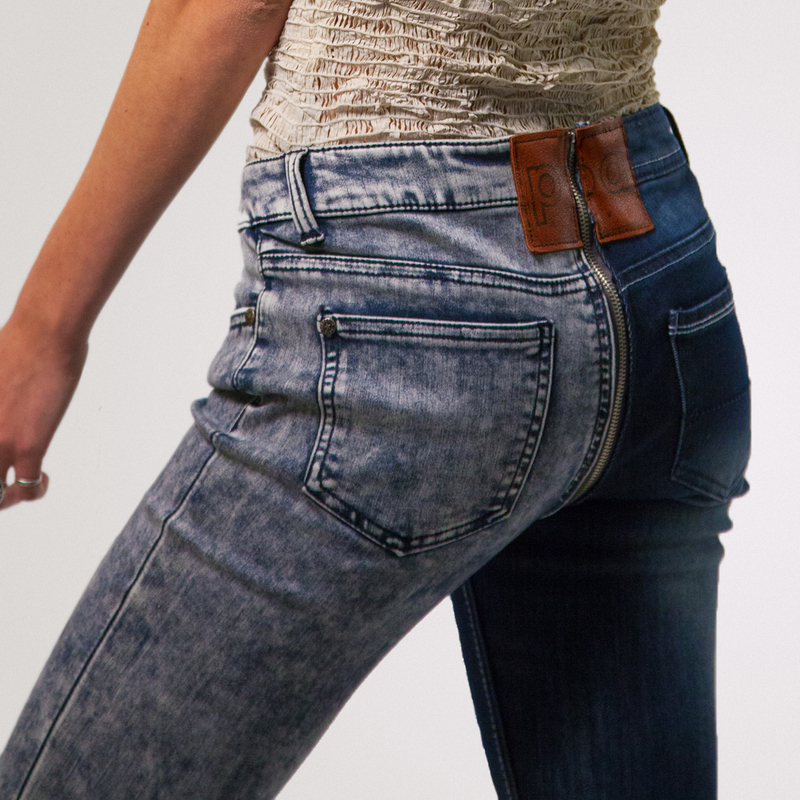 Just choose two legs of the same waist size and zip them right up the middle to create endless combinations! Kickstarter is a creative way for individuals and companies to fund innovative projects and ideas and engage the community. “Backers” make pledges towards projects they would like to see become reality. In return, those individuals get rewards if the project is successfully funded. The campaign backers will receive various rewards, from a Pant • Alone bumper sticker, to a dozen pair of Pant • Alone, to exclusive private dining and social events with the company founders. To learn more about Pant • Alone, visit their website at http://www.pant-alone.com. Also like us on Facebook and follow us on Twitter!